The government may revisit its fiscal consolidation roadmap fixed last year. 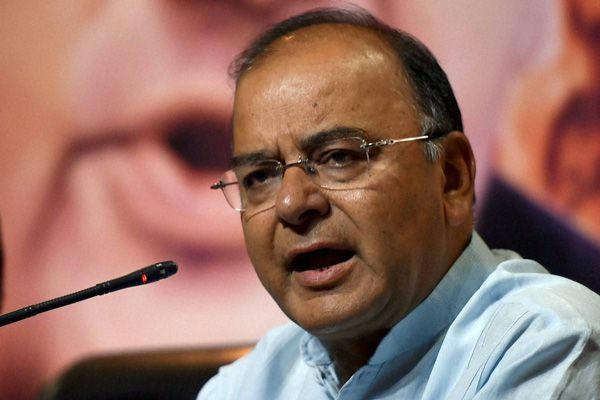 Finance minister Arun Jaitley had set targets of 3.9 per cent and 3.5 per cent of the gross domestic product (GDP) for 2015-16 and 2016-17. The Economic Survey has projected growth expectations for next year by projecting a GDP growth of 7 per cent to 7.75 per cent - while it has projected retail inflation to remain within 4.5 per cent to 5 per cent during the year. Nominal growth at 8.4 per cent in 2015-16 may be difficult for the government to achieve the deficit targets. The government had set a record target of raising Rs 69,500 crore through disinvestments for 2015-16, comprising Rs 41,000 crore by way of minority stake sale and an additional Rs 28,500 crore from strategic sale as reported by LiveMint. The government has indicated on Friday that it will fully implement the One Rank One Pension for armed personnel and recommendations of the 7th Pay Commission. Arun Jaitley had in the last budget announced that he would progressively cut corporation tax to 25 per cent from 30 per cent over the next four years by simultaneously reducing the exemption available to companies to bring it at par with Asian economies. The Economic Survey has stated that the current prospects suggest that oil prices would average $35 per barrel next fiscal year as compared to $45 per barrel in 2015-16.